In this Post: Injuries as a massage therapist can be detrimental, but the truth is, they sometimes happen. 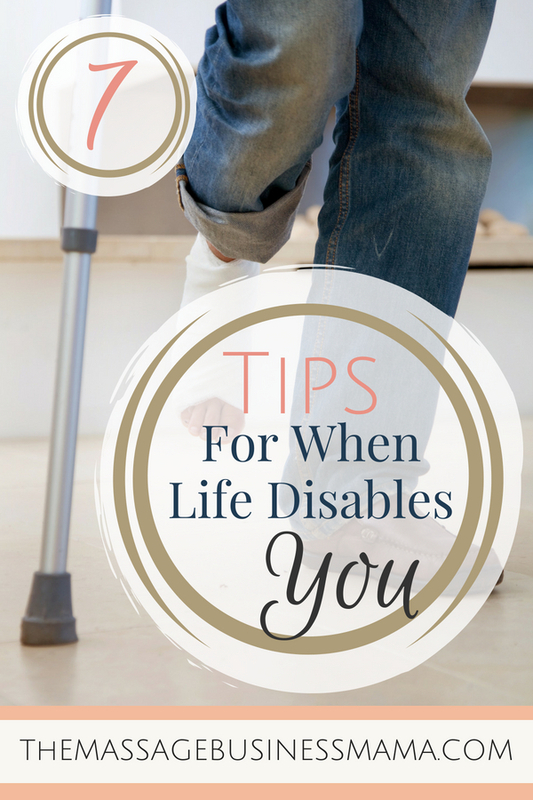 Here are 7 tips for when life disables you as a massage therapist. Because another truth, you will make it through this difficult time! I’m getting ready for work. I reach down to get it, and as quickly as I could blink a 2-inch piece of glass from a wine glass I had broken the previous week slides effortlessly into the palm of my hand. What a disaster! I have a full day of massages scheduled. What am I to do? My first thought, maybe if I canceled my morning appointments, I can still work on my afternoon clients. I’m delusional! Nine stitches later, I am out of work for at least two weeks. Sometimes when you cannot work it is expected, like pregnancies or planned surgeries. Other times it hits you out of the blue. With a little preparation, you can turn a potentially disastrous situation into a nice reprieve from an ordinarily chaotic schedule. 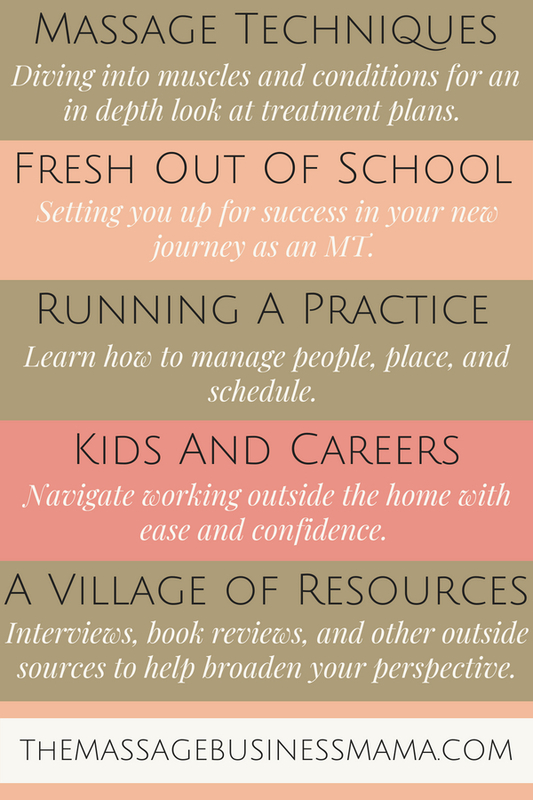 The following seven tips can set you on the right foot to approach life’s curve balls with grace and ease. Stop living paycheck to paycheck. Have an emergency fund set aside. My favorite tip for this is to treat savings like a bill and never make an excuse not to contribute to this fund. It doesn’t have to start out being a huge amount, just so long as you are consistently contributing to it. I also like to have my emergency savings account at a different bank than my everyday accounts. For me, this creates one more step if I ever wanted to withdraw from the account. If you have a contagious illness, or a severely crippling condition obviously this wouldn’t work, but maybe it is like when I got stitches in my hand. I was disabled, but I could still answer phones, greet customers, and make a mean cup of nettle tea. I couldn’t button my own pants (here is where being able to wear yoga pants to work came in really helpful), but I wasn’t completely useless. Rest. Meditate. Collect on any massage trades you have outstanding. We all know how much massage can help with the healing process. Now is the time to take care of yourself. Remember those taxes you filed an extension on, those changes you wanted to make on your website, that email list that needed tending… Here is the time you have been begging for. Allow yourself to be supported. Accept that home cooked meal, let a friend pick up your kiddos, and enjoy when your receptionist braids your hair because you cannot. You won’t be in this position forever. And the next time someone needs a helping hand you can be the first to volunteer. So the next time you slam your finger in the car door, have emergency hemorrhoid surgery, or your kiddo is home sick with a virus, remember it is not the end of the world. There are things you CAN still do! And for those you can’t, well, no use focusing there!